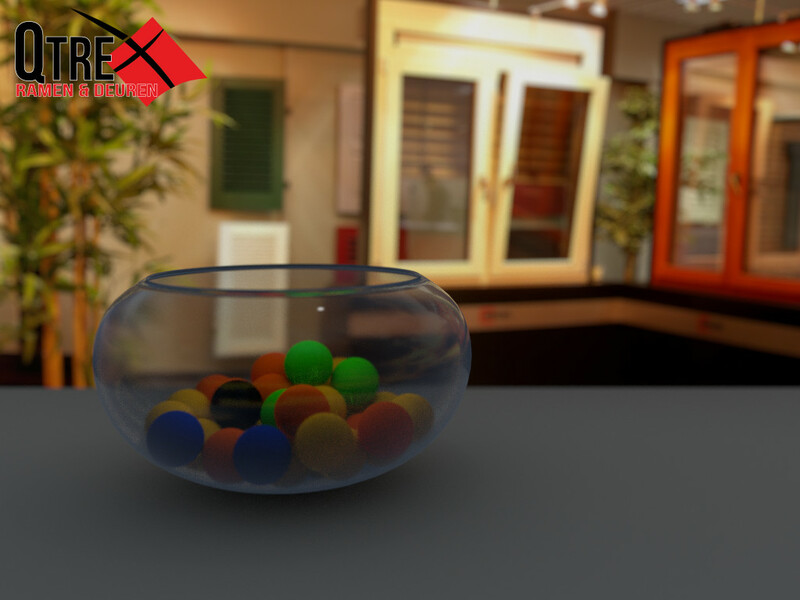 For the moment I’m doing an intern with the company Qtrex, wich sells and installs windows and doors. I’m working on the online things of the company. The Magento system is something I’m learning there. Soon, there will be a promotion action and the plan is that clients can fish a discount ball out of a bowl. This week I’ve made a visualisation that can be used to promote that campaign on the website. The picture was taken in the showroom. 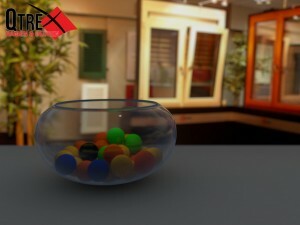 The bowl and balls are made in Blender with Cycles. I received the logo of qtrex in pdf, but the color of the text had to be changed to black. So I thought of using Inkscape. With an import from Inkscape the result was good, but I was missing some fonts. Thankfully they were all freely downloadable and afer I’ve installed them, the logo imported properly in Inkscape and was editable.